I’m very excited to announce that Eddie Deezen will now be contributing articles to Today I Fount Out. Besides appearing in or doing voice acting for a myriad of major motion pictures and TV shows including Grease; WarGames (one of my personal favorites growing up); Kim Possible; Dexter’s Laboratory; What’s New, Scooby-Doo; and Polar Express, Deezen also occasionally writes interesting informational/trivia type articles for such websites as mental_floss, neatorama, and now Today I Found Out. You’ll be able to find all of Eddie Deezen’s articles on Today I Found Out as they get posted here (the first of which will be published in the next day or two). 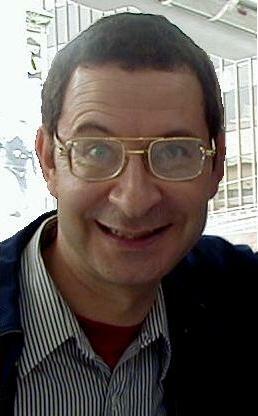 You can also check out his filmography here and his personal website here: Eddie Deezen. This is awesome news, Devan. I read you and mental floss every day, and I love Eddie’s columns there . I’m looking forward to seeing him here too.